If you experience chronic shoulder pain, it may be caused by rotator cuff tendonitis. The group of muscles and tendons that support and keep the upper arm in the shoulder socket is known as your rotator cuff. When these tissue become inflamed, it can be difficult to lift your arm above your head. Advent Physical Therapy explains what causes rotator cuff tendonitis and what you can do to treat it. What causes tendonitis in the shoulder? Tendonitis is an overuse injury that occurs when the tendons that support your joints become swollen, inflamed or damaged. People over the age of 30 are more likely to develop shoulder tendonitis. 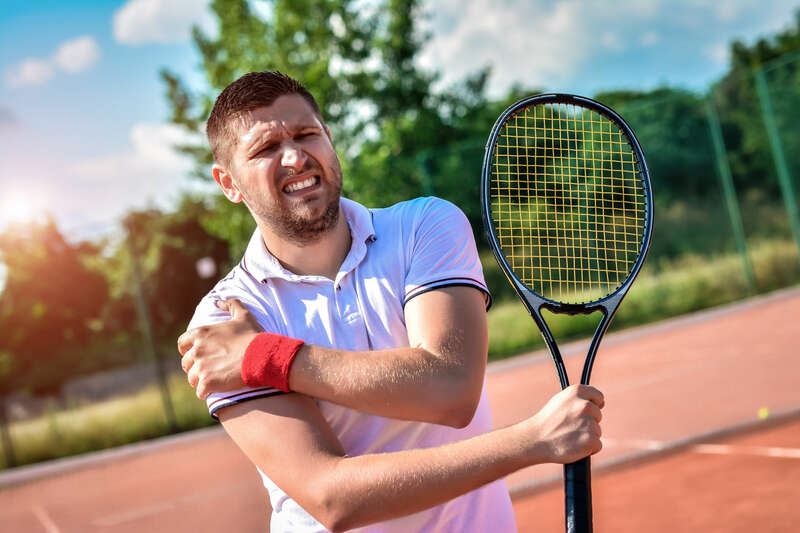 Athletes who play sports with repetitive swinging shoulder motions, like tennis or swimming, are also at a higher risk for developing rotator cuff tendonitis. Warehouse workers, lumberjacks or other occupations where heavy lifting is involved can cause shoulder problems. Rotator cuff tendonitis can occur from a simple fall onto an outstretched arm. If you suffer from rotator cuff tendonitis, you will most likely notice pain in the upper arm, and the front and top of your shoulder. The discomfort usually gets worse when lifting your arms and can be accompanied by a clicking sound. Your shoulder may also be tender, swollen or inflamed. Muscle weakness and loss of range of motion are symptoms that should be checked out by a medical professional. Failure to seek treatment can cause more severe injuries such as a frozen shoulder or developing arthritis in the shoulder joint. Rest — Because tendonitis is an overuse injury, resting the shoulder will prevent further damage and inflammation. Ice — Cold therapy will help reduce pain, swelling and inflammation. Apply 20 minutes on and 20 minutes off to prevent skin damage from the ice. Stretching — Exercises to increase range of motion can help reduce pain in the shoulder. Physical therapy is another effective treatment for rotator cuff tendonitis. The physical therapist will work with you to build strength and regain range of motion in the shoulder. If you have recently suffered a shoulder injury, contact us today to set up your initial appointment.